Workers on the production line of the Honda Accord at the new Guangzhou Honda Automobile Co. Ltd. factory. 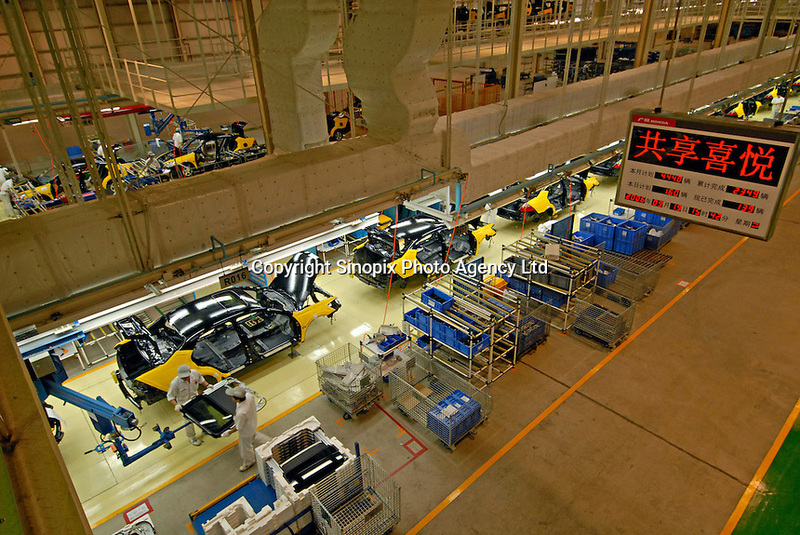 The plant built at a cost of 140 million US$ is one of the most advanced car plants in the world. It has a state of the art production line as well as the world's first total water re-cycling sytem..